For Finnian‘s 15th birthday, I decided to go for it and make him a Raspberry Pi cake. My friend Tabi was round for the evening so she helped me, thank you Tabi! It took us from about 6pm-12pm to make it all, but it was really fun! 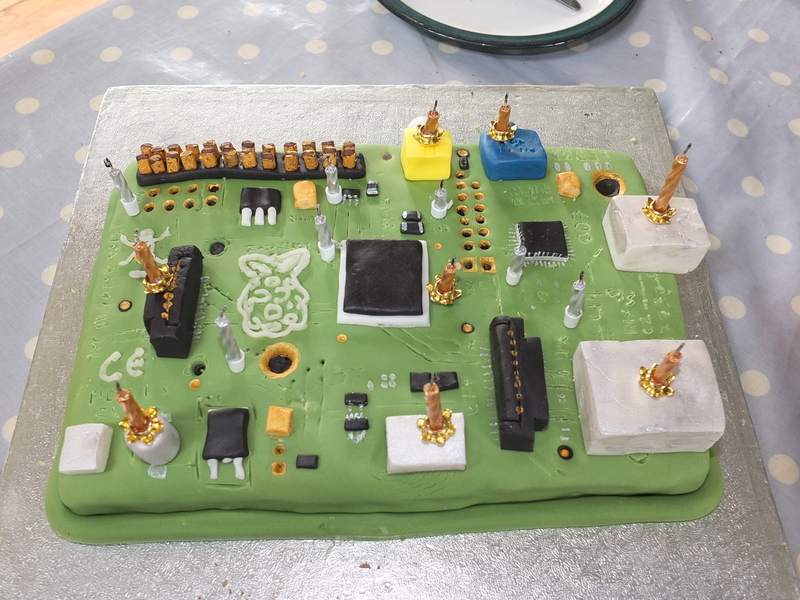 It was a relief when Finnian and his friends scoured the cake on his birthday and couldn’t find any components we’d missed, although I’m sure there were loads! And Finnian put on all the photos and listed what the pieces were, as I have no idea!